In table tennis, there are 3 ways to win consistently: your backhand, your forehand attack and your service (ace serve). 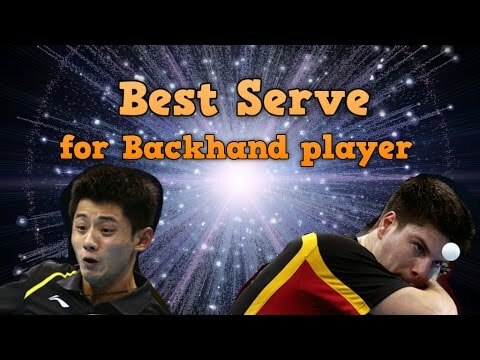 So backhand is one of the most important “weapon” to win in table tennis. Nowadays, you can go pro without a solid backhand technique. Today, having a good backhand is crucial in table tennis. Unlike 20 years ago, you can become a very good player with one-wing style. But with the new trend, the speed and power will dominate the playing style in this sport. It’s not only the tool which helps you initiate the first attack. It’s also one of the best ways to win the point. All of the top players in this modern table tennis have solid and monster backhand skills. The game is changing so fast. You should also prepare for the best equipment that fits this trending. Take a look at top 10 backhand rubbers for the new style “quick counter-attack” nowadays. Backhand drive is a shorten version of backhand topspin techniques. It’s used to control the pace of the rally. Used when you are in a passive situation. Or you want to control, to reduce your unforced error. The backhand block is used mainly by strong forehand dominant player (like Ma Long’s style). It’s is used as the step to pivot around the left corner. The blocking technique is mainly practiced at the amateur level. At the higher level, top player prefers using the more aggressive techniques: like flip, quick-counter. The backhand block technique is used in an emergency situation. When you don’t have enough time to recover, to add spin in your shot. 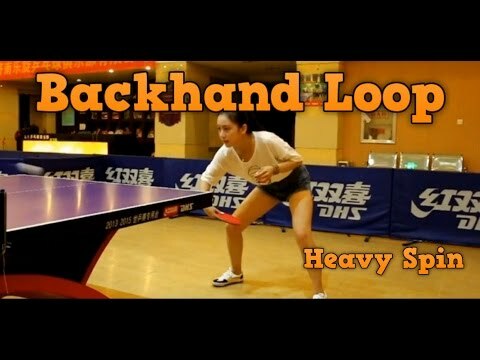 The backhand loop is like the backhand topspin but is used far from the table. It’s is also used to play against the heavy backspin ball (from the chopper for example). It’s the old European style. 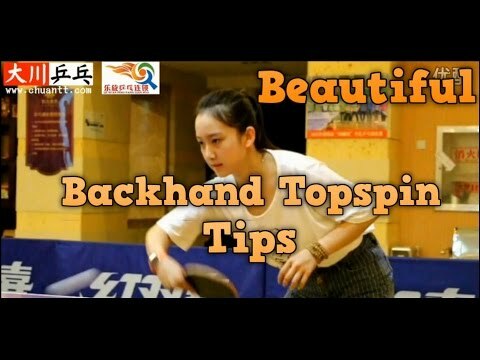 Backhand topspin is the standard technique that every player should learn. It’s is used from close to mid-distance. The most important tip to do the powerful backhand topspin is using the wrist and the hip to generate the force. With the new poly ball, it’s easier to flat hit now. So the top player will hit sooner, and quicker. The trending is already confirmed several times. Tomokazu Harimoto is the first has adapted to this trend. His backhand is the quick-counter style. He can hit every type of spin: backhand spin, serve, and even counter topspin. For the female, Mima Ito did the same thing. But this time, with her short pips rubbers. So you should learn the backhand quick-counter technique. 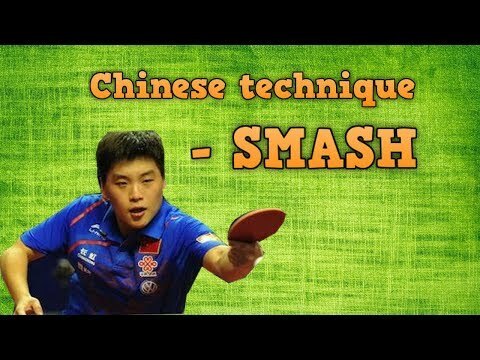 This technique is a higher reward shot for your table tennis weapon. The backhand banana flick is widely used nowadays. And it is used on all over the table’s surface, even at the forehand side! (Crazy?). Yes (because players want to return the ball on the table aggressively!). It’s is used to return the short with topspin or sidespin serve. With spinny serve, don’t push it! If you push you will eat the spin! Learn to return it aggressively! It’s one of the best ways to improve your service returning skills. Because it’s easy to add speed with the backhand flick than the forehand flick. 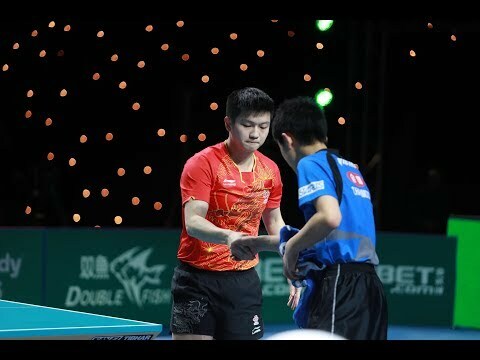 Many youngsters love this style (like Harimoto, Lin Gaoyuan’s style). Faster, more aggressive, and quick counter-attack. The backhand strawberry flick (also boomerang flick) is used firstly by Japanese players (Koki Niwa, Matsudaira) and French player (Simon Gauzy). The principle is similar to banana flick, but the spin is reversed. Strawberry flick generates reverse pendulum spin, while banana flick generates pendulum spin. It’s is used to return short sidespin serve to the middle of the table. Backhand serve is mainly used by the backhand dominant player (like Ovtcharov’s style). It generates the reverse pendulum spin, and help you attacking first with your backhand. It’s, in general, a very good serve to learn. Backhand smash is very difficult. It’s better to smash using your forehand. Some unique European player has this skill (like Kreanga, Karakasevic). Beware of the optimal timing for each type of strokes. If you miss the timing, the consistency of your shots will reduce dramatically. I feel very very sad as well as it confirms drastically that my kid got coached very wrong over years now. In Germany coaches religiously stick to push the first ball if it is a short ball ….My kid never liked pushing , and she only reluctantly adopted this style to her game. Nobody really put any time in flicks ,let alone banana or boomerang flicks . Thank you coach. Very good resume about the current state of backhand technique. You are right about the new trend. Hi Coach, this is a good article. I saw on YouTube Ito Mima did a Unique Backhand, when I searched on youtube. I found “Ito Mima Chiquita Attack”. So, what is Chiquita Backhand? Chiquita backhand is banana backhand flick. They are the same.